At Norwood Dental, we believe taking care of the Earth is just as important as taking care of your smile. We’re making some BIG changes to make our practice more eco-conscious. In the past, we’ve used countless sheets of paper for our patient charts. Moving forward, our charts will be digital. 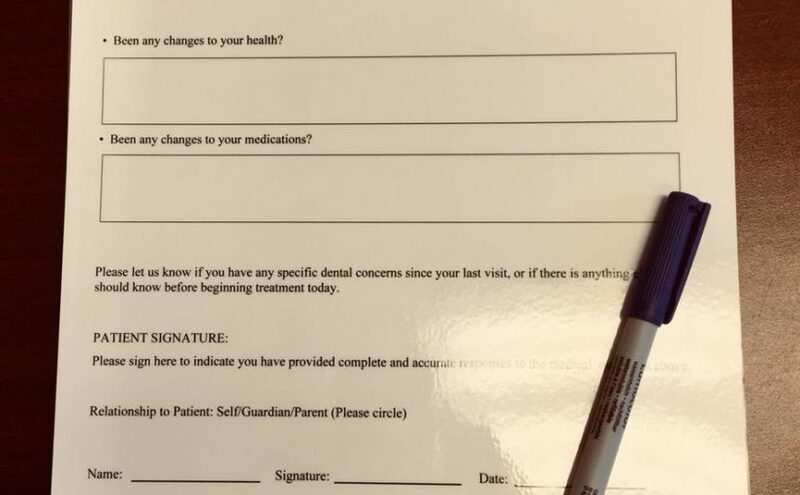 We’ve laminated our medical history forms, so patients can now write down their information with a dry erase marker, and then we’ll scan it into our system. The forms can then be cleaned and re-used. Way less paper usage! We are also transitioning to digital x-rays. Digital x-rays are uploaded directly into the computer, without the need for a chemical cure. Digital x-rays also use less radiation, making them safer for patients and Mother Earth. Celebrate our amazing planet with a smile!